Are you looking to regain control over the online conversation of your business? Digital Presence can help. With their expertise in online reputation management, they ensure your business’s online profile is an accurate reflection of what it truly does. Everything is online nowadays, which means that your online reputation is the difference between success and failure for your business. Your online reputation also lasts forever, so you need to make sure you handle it right. If your business has a negative online reputation, then it doesn’t matter how professional and easy to navigate your website is, or that has been optimised with the best SEO tactics. A negative reputation, whether it’s a single bad review or hundreds, will wipe out all your SEO efforts in a second. We have learned from our experience that people who have had a negative experience with a company will tell anyone who’ll listen. And, just like in real life, online word of mouth reviews spread quickly. It spreads especially quickly if that word of mouth review pops up as the first thing potential customers see when they search for your business on Google. And with one single review you now have a tarnished reputation. The more negative reviews you get, the more stained your reputation becomes, until negative reviews are the only search results that come up, and your business website is buried. Creating an ecosystem of complementary materials that tell related stories, and ensuring they rank higher on search engines. If this all sounds too difficult and time consuming to complete when you are running your business, don’t worry we can help! 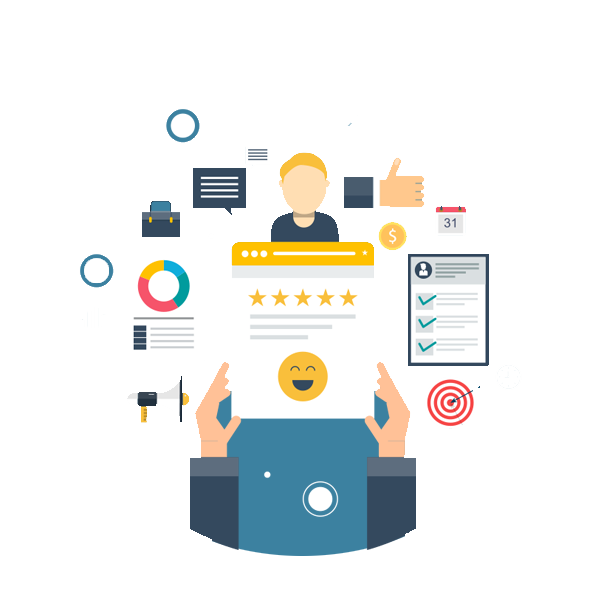 The team at Digital Presence have the knowledge and know-how to not only improve your business’s online reputation, but also take preventative measures to ensure your reputation is never dragged down by negative reviews. Optimizing the positive commentary we create to outrank the negative feedback and increase your website’s visibility within search engines. After we have re-established the integrity of your business, and secured your website’s high search engine placement, our team will continue to monitor your website’s data to ensure that the negative feedback doesn’t return. If your website is experiencing the effects of a negative online reputation, contact Digital Presence today to rebuild your reputation.